So whether you’re looking at a page in portrait or landscape, you can see everything at a size that’s actually readable. 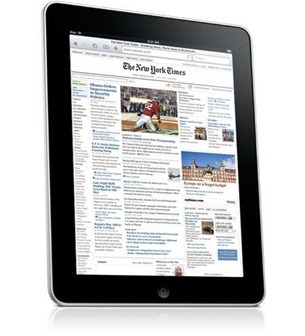 And with iPad, navigating the web has never been easier or more intuitive. Because you use the most natural pointing device there is: your finger. Scroll through a page just by flicking your finger up or down on the screen. Or pinch to zoom in or out on a photo. There’s also a thumbnail view that shows all your open pages in a grid, to let you quickly move from one page to the next. Already a pretty damn good browsing experience on the iPhone – should be killer on the iPad. In landscape, you get a split-screen view showing both an opened email and the messages in your inbox. 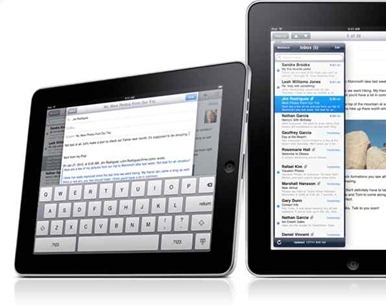 To see the opened email by itself, turn iPad to portrait, and the email automatically rotates and fills the screen. No matter which orientation you use, you can scroll through your mail, compose a new email using the large, onscreen keyboard, or delete messages with nothing more than a tap and a flick. For example, the Photos app displays the photos in an album as though they were in a stack. Just tap the stack, and the whole album opens up. From there, you can flip through your pictures, zoom in or out, or watch a slideshow. 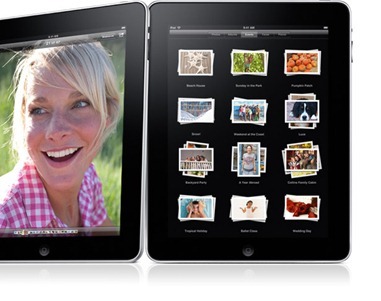 You can even use your iPad as a beautiful digital photo frame while it’s docked or charging. And there are lots of ways to import photos: You can sync them from your computer, download them from an email, or import them directly from your camera using the optional Camera Connection Kit. I love the idea of using this as a digital photo frame when it’s not in active use. The stacks feature looks very nice to work with as well. The large, high-resolution screen makes iPad perfect for watching any kind of video: from HD movies and TV shows to podcasts and music videos. Switch between widescreen and full screen with a double-tap. To watch one, just tap it. When you’re watching in landscape, the video automatically plays in full screen. And with its high-resolution display, iPad makes the latest HD YouTube videos look positively amazing. iPad even displays album art at full size. Listen to your music with the powerful built-in speaker or with wired or Bluetooth wireless headphones. A tap of the iTunes icon lets you browse and buy music, TV shows, and podcasts — or buy and rent movies — wirelessly, right from your iPad. 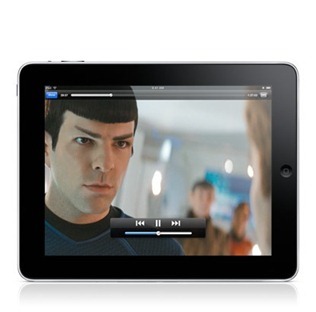 Choose from thousands of movies and TV shows (in both standard and high definition), along with thousands of podcasts and millions of songs. Preview songs before you buy them. 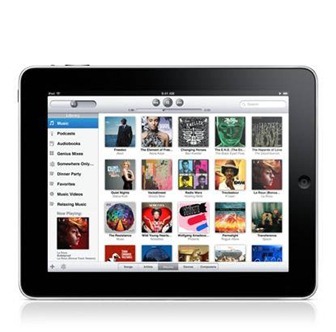 Or just sync iPad with the content you already have in your iTunes library on your Mac or PC. 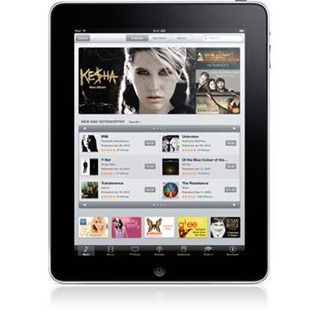 One of three stores you can spend more money in on the iPad. 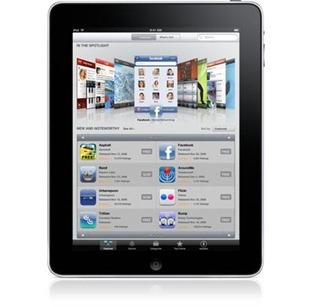 iPad runs almost 140,000 apps from the App Store. Everything from games to business apps and more. And new apps designed specifically for iPad are highlighted, so you can easily find the ones that take full advantage of its features. I really hope that highlighting of ‘designed for iPad’ apps is done well. It would be nice to see them do similar things to make clear which apps work with which models of iPhone and iPod Touch within the store. 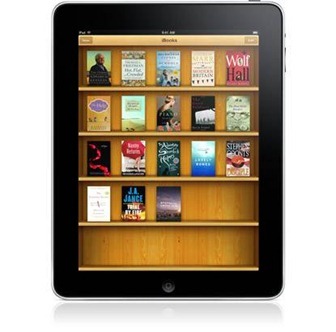 Download the free app from the App Store and buy everything from classics to best sellers from the built-in iBookstore. Once you’ve bought a book, it’s displayed on your Bookshelf. Just tap it to start reading. The high-resolution, LED-backlit screen displays everything in sharp, rich color, so it’s easy to read, even in low light. UI for this one looks great. Available only in the US at the outset. 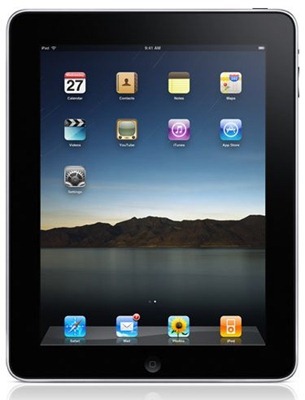 Finding your way is a completely new experience on iPad. Tap to view maps from above with high-resolution satellite imagery, up close with street view, or with topography in a new terrain view — all using Google Services. Search for a nearby restaurant or landmark, then get directions from your current location. 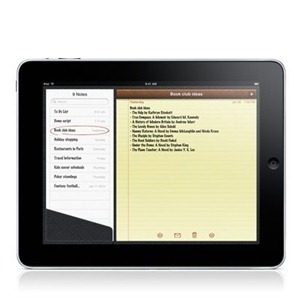 With its expansive display and large, onscreen keyboard, iPad makes jotting down notes easy. In landscape view, you see not only a note-taking page but a list of all your notes. iPad even circles the current note in red, so you can see where you are at a glance. 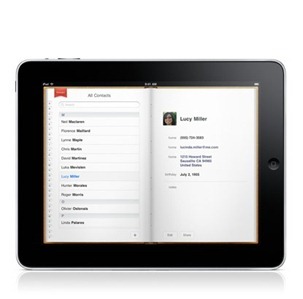 iPad makes it easy to stay on schedule by displaying day, week, month, or list views of your calendar. You can see an overview of a whole month or the details of a single day. 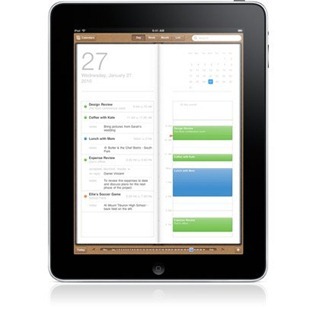 iPad even shows multiple calendars at once, so you can manage work and family schedules at the same time. The Contacts app on iPad makes finding names, numbers, and other important information quicker and easier than ever before. A new view lets you see both your complete contacts list and a single contact simultaneously. Need directions? Tap an address inside a contact and iPad automatically opens Maps. This one and Calendar – with their striking new interfaces – both look very impressive to me in the demos. As seasoned iPhone users will spot quite quickly, a few of the iPhone built-in apps are conspicuously missing from the iPad’s home screen in the demos we’ve seen so far. Those are: Weather, Stocks, Clock, and Calculator. Perhaps they’ll be added by the time the iPad is released, or maybe we’ll see them implemented as some flavor of dashboard-style widgets, as many have speculated.